Our good friends and fellow craftspeople, Harry and Wendy Besett, owners of the Vermont Glass Worshop (est. 1984) sustained a significant setback in their work when a fire on December 29th, 2017 destroyed a large part of their studio. 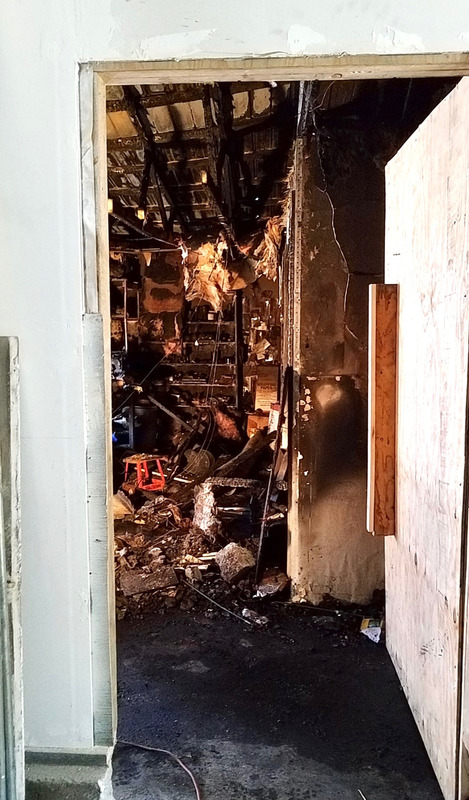 Wendy and Harry and their animals are unharmed, and most of the glass blowing equipment is salvageable but, the part of the building which housed their entire inventory along with their showroom, displays, bookkeeping, marketing, office supplies, records, and electronic equipment, was destroyed. At a time of the year when artisans are adding inventory to their remaining stock for the coming 2018 season, Harry and Wendy are starting over. Their beautiful art glass is burnt, broken and frozen below the Arctic air mass, under ashes, soot, and remnants of the structure. Snow is mounting as they try to move forward by digging down and planning space for the creation and display of their work. This Go Fund Me campaign is set up to make it easy to contribute to their recovery, to their art, and to help them with this difficult transition. Your contribution will help purchase labor and materials for their rebuild. Everybody who knows Harry and Wendy know that they are charitable and giving, always ready to lend a hand, give a gift, and help others through their troubles. Harry and Wendy are independent, hard-working, self-sustaining folks who will pay it forward to their community of neighbors, friends, and clients. Now it can be our turn to help them through their challenging event. Your gift today of any amount is greatly appreciated. Thank you. 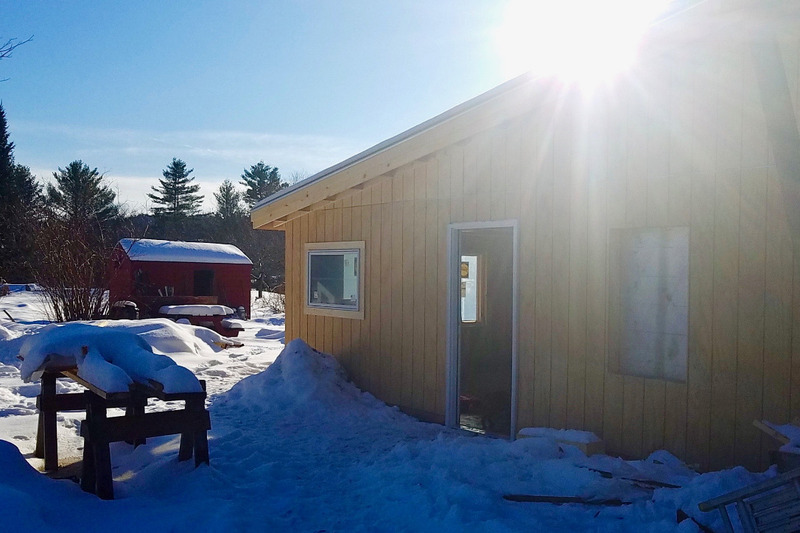 The burnt side of our studio was literally frozen in place until the middle of May ( this is northern Vermont :) ), hindering our ability to start recovery on that side of our business. After painstakingly removing and cleaning each piece of black soot-covered glass, we leveled the space, cleaned up the cement-pad, and started rebuilding by ourselves in late August until the professional carpenters arrived in the third week of October (a wee bit later than we had expected, but then hit the ground running). Hardwick has had snow on the ground since Halloween and that slowed us down as well. 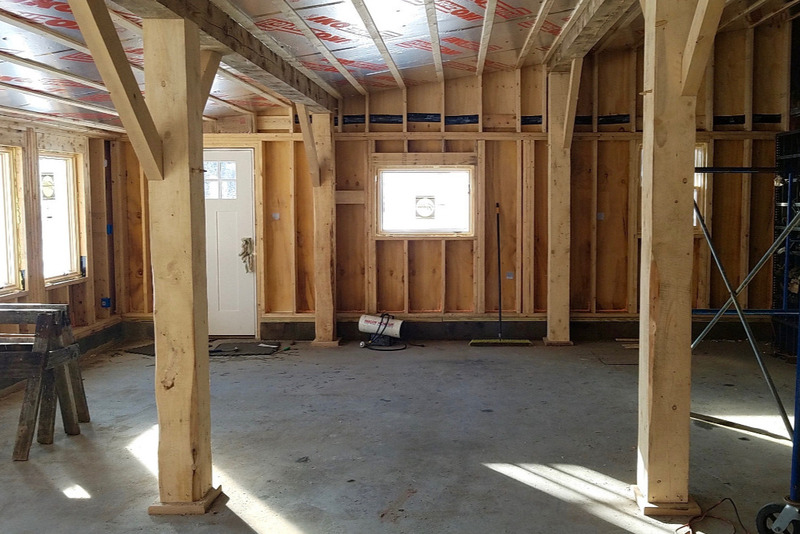 BUT!, one year later at this writing, we have four new walls, an enclosed roof with insulation, doors and all but one of the windows in place. 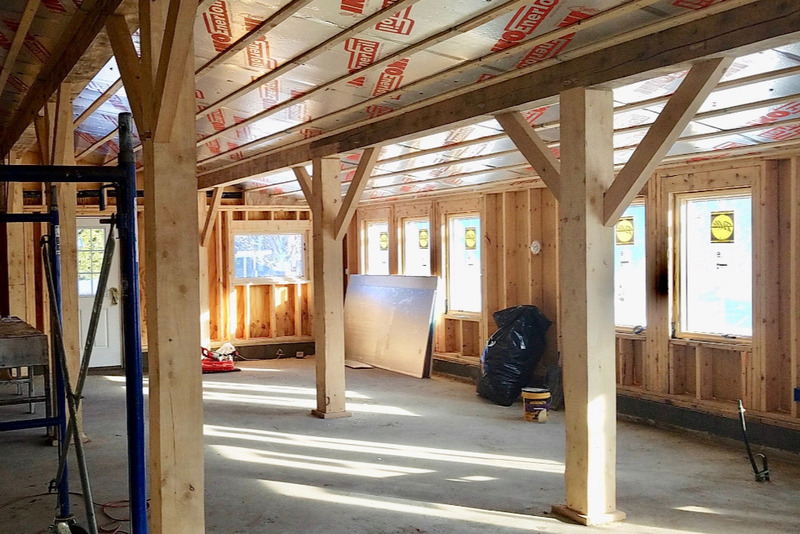 The timber frame construction was expertly done and lends a warm and barn-like feel to our new “retail space”. When complete, we look forward to sharing it with you here via GoFundMe email updates, or better, in person! 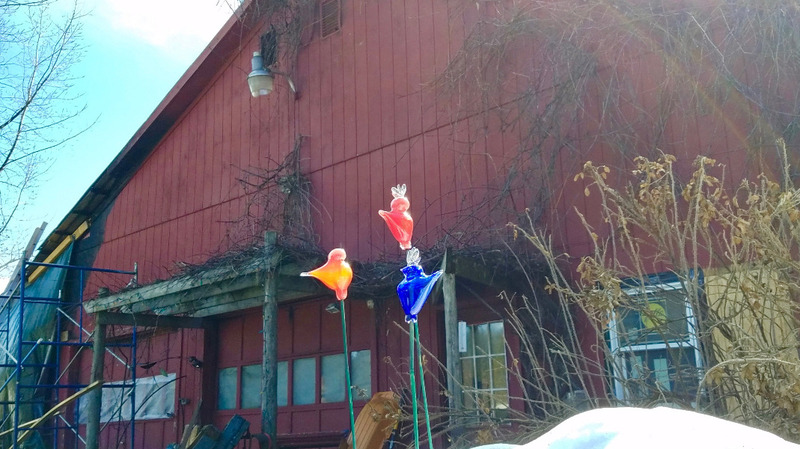 Look for our continued participation in Vermont's Open Studio Tour this coming Memorial Day Week-end. Interior work will continue in 2019 until completion. When you visit you will see that we decided to re-allocate our new retail space to better suit our needs. 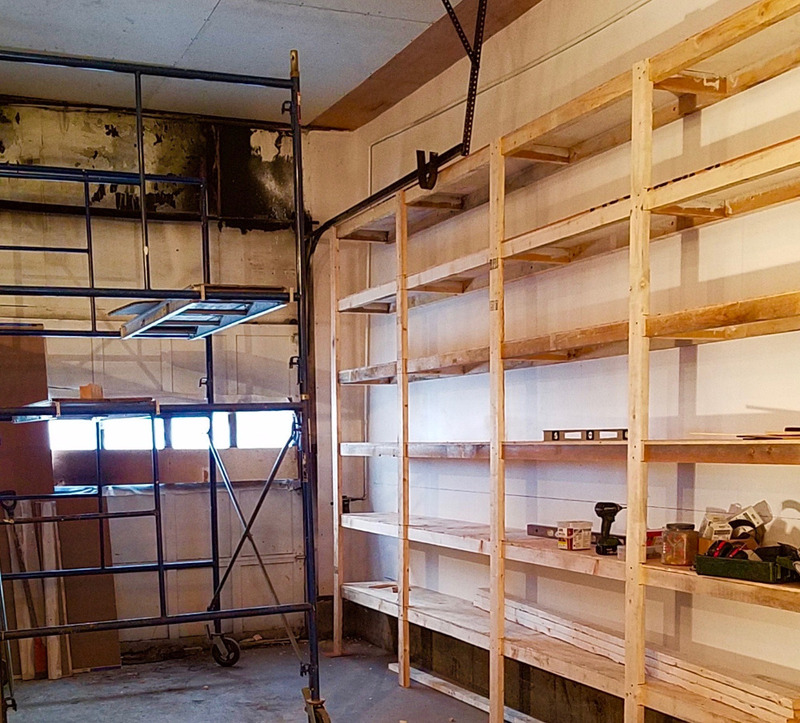 We designed less space for inventory, a smaller shipping area, and a relocated office space allowing for a small studio apartment for workshop attendees, intern housing, or guests! Guests on extended stay may be asked to help with Maple sugaring, the animals, or vegetable gardening! 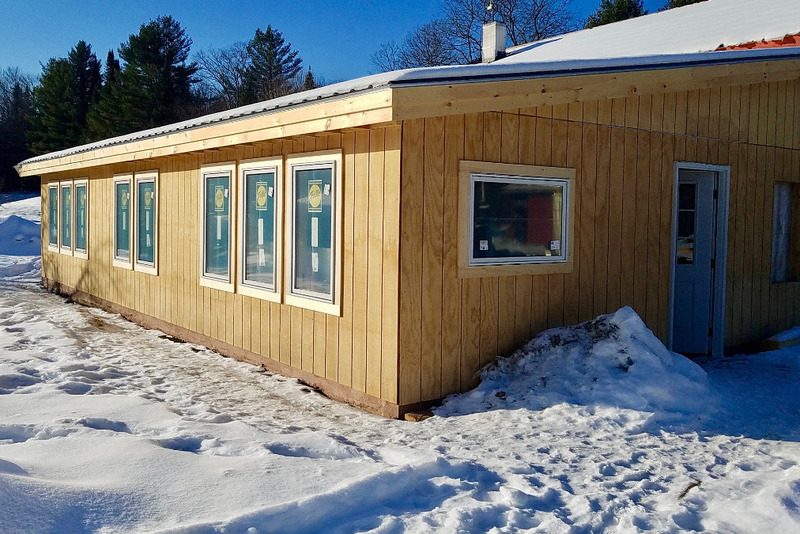 Your gifts helped us purchase necessary building materials, replace burned up tools, allowed us to hire glass blowing assistants, pay carpenters, and gave us a now thinning cushion to bring our project to completion. We could not have done it without you!! Harry and I hope you enjoy seeing the images of how we’ve progressed, and that you can see the potential along with us. If you want to see more progress than shown here (videos! ), find our show schedule, or buy some glass, please follow us on our only social media studio page : https://www.facebook.com/Vermontglassworkshop/ or, later in 2019 when launched, on our newly rebuilt website at www.vtglass.com . Of course, you can always make an appointment to come by the studio as well. With love, gratitude, best wishes, and a blessing for the coming year, from the bottom of our hearts, we thank you, each of you, for your kind-hearted gifts that made our dream your dream. Thank you! Greetings for Spring! Our continued thanks for the support from all of you-every one of you from the "first on board" to the "just finding out" (growing in number by the week. ) Yay! We think of you with delight and feel your support each day as we move through our rebuild (which, as it turns out is a rethink and a remodel. More to follow)… Thank you. Thank you. Thank you! Here’s what’s been happening in the last month (with as many photos as GoFundMe allows. Three.)! If we have a “phase I”, it is nearly complete. The main building is sealed up against weather and wind. New lights, new windows, the beginnings of an office space (we are so happy to have moved it out of our son’s bedroom in the house) and makings for a sink/washing area are done. The blowing equipment has been lined up and hooked up to the propane lines. We can now happily report that the furnace is ON and we, in a limited way, are BLOWING GLASS! 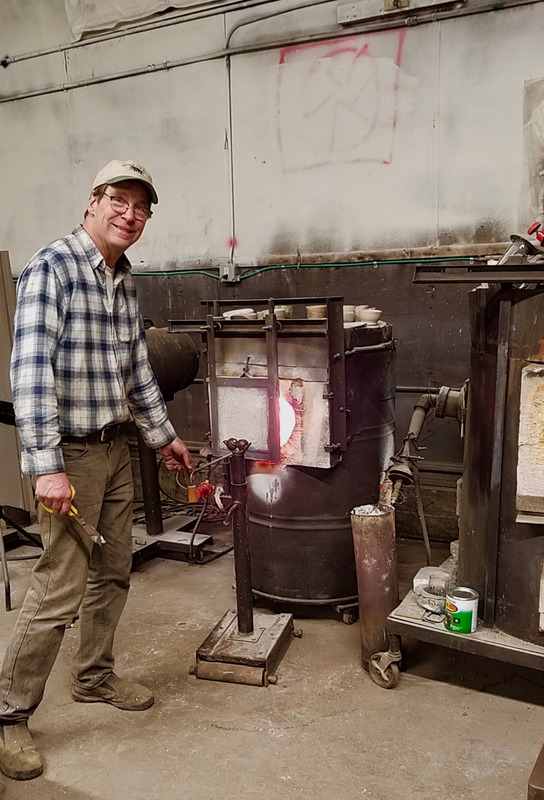 Harry made the first pieces out of the furnace this past Wednesday (April 4th); a take off on our popular “Yard Birds”, he is calling these beauties “Fire Birds” and you can see a flock of them at our first show of the year which will be the League of NH Craftsmen’s Fair this August (We decided to cancel everything beforehand- including our beloved Memorial Day Open Studio Week-end which we’ve done for more than a quarter-century- and save our energies for making new work for this important nine day long event.). Cora, our 8th grade mentee who had her semester-long glass project interrupted, was able to continue and finish this month. Good for you Cora! We wish you well on your presentation and applaud your patience and perseverance during the unexpected twists in your class internship project. Please continue to love making art! Through our newly expanded and updated doorway, you can get a glimpse of the next phase of the project that awaits us. We are eagerly awaiting the end of mud-season so we can bring in the large equipment for demolition. Spring’s rebirth and renewal seems so much bigger this year! Harry and his furnace. Hot again! Fire Birds~ and a BlueBird of Happiness! Temporary doorway to the next phase. Thanks & Gratitude. Marking second month of the GoFundMe campaign and studio recovery. The burnt side is thawing! The coming weeks will be all about pulling out any glass that didn’t melt but was previously frozen in place from waterhoses and storing it for future projects - that’s our hope anyway. I was disheartened this week-end when I picked up a blackened glass bowl and it turned to flakey powder in my hand. I’m hoping other pieces will not be quite so damaged and we will at the very least be able to save some chunks for future projects (mosaics, sculpture, etc). After glass extraction, the heavy equipment will come in and level the building right down to its cement pad. Our wedding anniversary is in March and while a new studio plan is not what we thought we might be celebrating, we are glad for it! Meanwhile, we hope to have final building design decisions made so we can submit a cut list to the mill. We continue to be humbled by the outreach, large and small, as well as for the vote of faith and confidence in our rebuild from you. It has really helped keep us going forward in good spirits. Thanks also for the furniture drop offs…we will make fit what we can and re-purpose the rest. You may have read that Facebook is implementing changes to their algorithm that may make it harder for us as a family business to reach our customers. So, we especially appreciate all of you who have felt motivated to share our campaign. Dear Friends of Harry and Wendy Besett. I would like to pause and take a moment to personally thank all of the donors and well wishers thus far. When one starts something like this campaign the outcome is unknown. Never having done this before, it was a learning experience. Aside from the logistics of launching this, I have learned of the amazing generosity of the friends of the Besetts and how much they and their work mean to many people. All I did was get this up on the web. You all did the rest. Thank you. Onward we go.